A primary tool used in the management of Colorado’s big-game animals is a limit, or quota, on the number of licenses issued in most game management units (GMUs). When applying for a limited license, a preference point is awarded when an individual is unsuccessful in drawing their first-choice hunt code. Preference points provide a mathematical advantage when applied to future drawings. As summer fades and temperatures cool, Colorado’s big-game seasons are about to heat up. And, if you plan to hunt this fall you have plenty of reasons to look forward to opening day. Wildlife biologists, in general, predict good hunting across most of the state. Blog post and video by Jerry Neal. Neal is a videographer and information specialist for Colorado Parks and Wildlife. 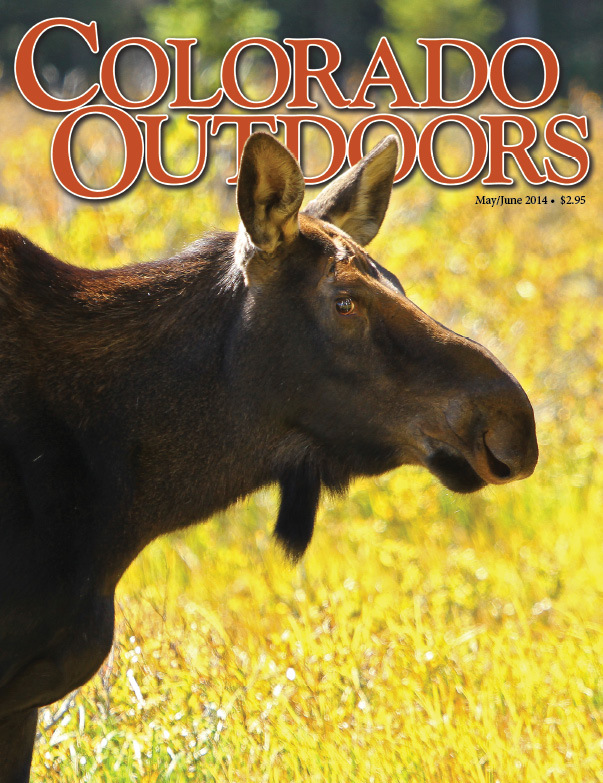 Colorado Outdoors Annual ‘Preference Point’ Issue Now Available! Spring is right around the corner—time to hang up your camo and forget about hunting until next fall, right? Wrong. For Colorado big-game hunters, the time is now to begin preparing for the upcoming fall hunting seasons. Colorado Outdoors, Colorado Parks and Wildlife’s conservation magazine, is a valuable planning resource for hunters. The Jan/Feb issue features preference-point data and statewide herd-population estimates to guide big-game hunters in applying for limited big-game licenses. This is a must-have item for any Colorado hunter. To order the 2017 “Preference Point” issue or to purchase an annual subscription to Colorado Outdoors, please click HERE. To view the entire contents page for this issue, click HERE. When a father and his 16-year-old son pick a campsite for a bull moose hunt, you’d assume Dad drew the tag and Son was along to help, maybe interested in burning the giant old pine stump in the middle of camp, just because it looked like fun. But when Richard Nicolas and his son, Jason, pulled into Jackson County last year it was Jason’s trip. He drew a bull moose tag at age 15 and this hunt would be the ultimate test of communication and teamwork between him and his dad — one made more challenging because Jason was born with a progressive hearing loss that has kept declining as he has grown. Now he hears very little on his own. The May/June 2014 issue of Colorado Outdoors magazine is hot of the press, and it features a wealth of information for sportsmen. To see additional stories and to view the entire contents page for this issue, click HERE. To order the May/June issue or to purchase an annual subscription to Colorado Outdoors magazine, click HERE.